Today, as a back home route, I left Shinkashi Onsen and went back to Shirakawa City and visited some places around there. 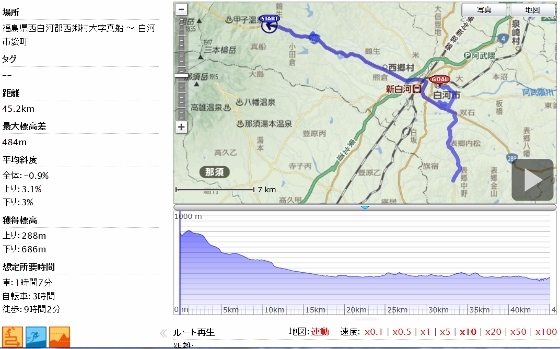 As shown in the GPS log below, after the long downhill from Shinkashi Onsen, the rest of the route was nearly flat. I visited two of the National Historic Sites. 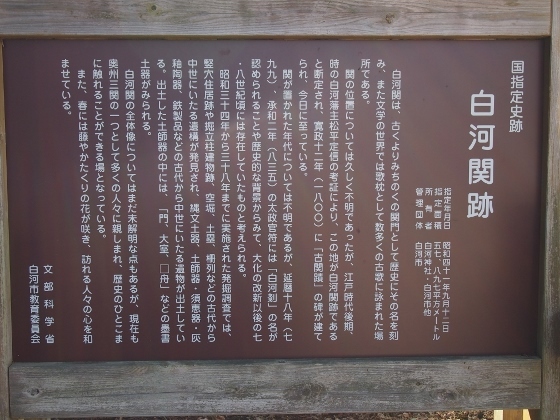 The first one was the site of old Barrier of Shirakawa as shown in the first picture. The next picture explains the site. 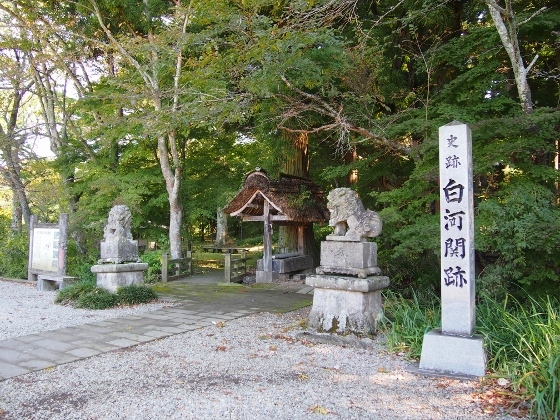 There was Shirakawa-jinja Shrine in the deep and upper area from there as shown in the third picture. 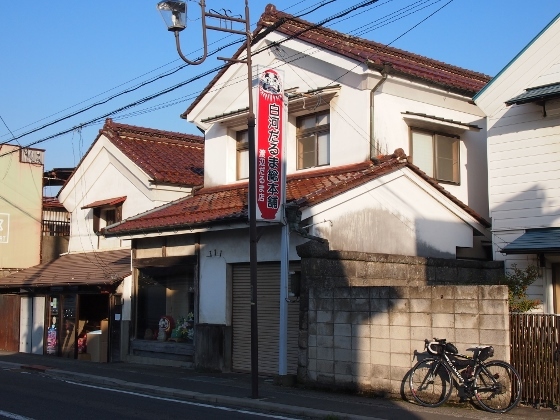 Across the road, there was a restaurant which serves good Shirakawa Ramen and was clouded with customers. 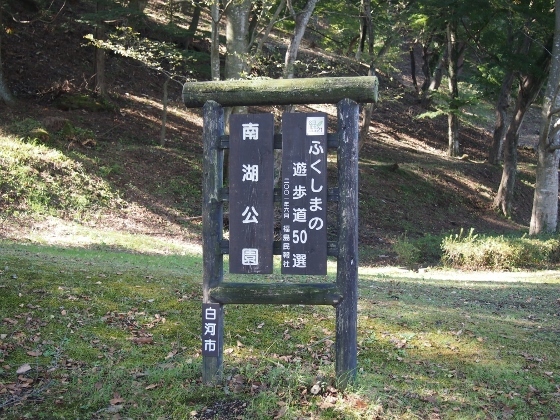 The second National Historic Site was Nanko Park. The above (top) picture shows the views there. 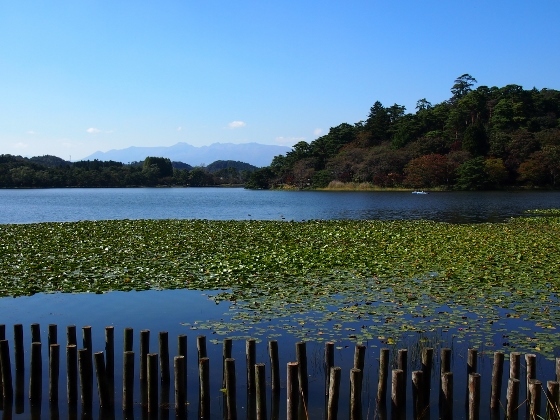 This park was also famous for its autumn color view; however it was still early for the season. The next picture shows that this park had been designated as one of the best 50 promenades. Shirakawa City was also famous for its production of daruma dolls. 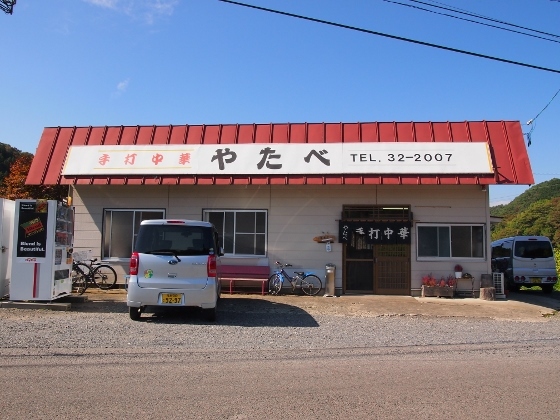 I could find some long-established daruma manufacturers and sellers as shown in the picture above. These shops also do retail. 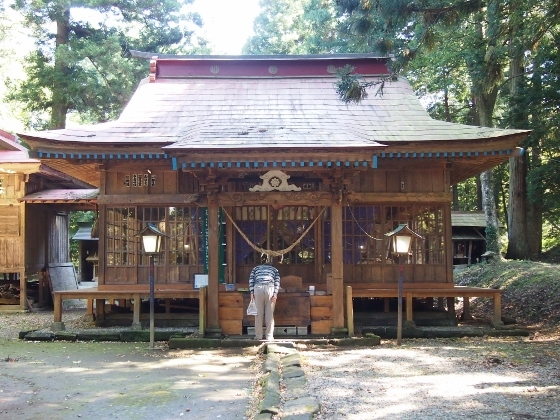 They had manufacturing space inside the house and I could see workers painting darumas.